Boman Irani is a critically acclaimed and one of the most talented actors of our country. He has definitely come a long way from Munna Bhai M.B.B.S. and has been appreciated for his comic timing and his passion towards the profession. Now, he is all set to play the role of business tycoon, Ratan Tata, in the film PM Narendra Modi. He started shooting for the same on 17th of Feb in Ahmedabad. "Ratan Naval Tata, a family patriarch of Tata Empire, has always praised Honourable Prime Minister Mr Narendra Modi in the past. It will be interesting to see Mr. Irani playing this role,” says a source. Producer Sandip Ssingh said,"Mr. Boman and I have worked together earlier in Shireen Farhad Ki Toh Nikal Padi. Inspite of being so busy with his own directorial venture and prior commitments, as soon as we reached out to him, he agreed. He was just a phone call away. He is an actor who motivates people and rehearses with his co actors at least 50 times. I am extremely happy and proud that he is part of this film; nobody else could have done a better job. I wish to work with him in every film." 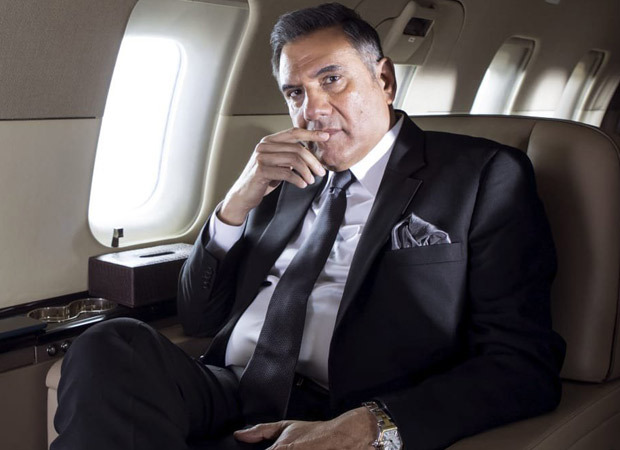 Boman Irani added, "I have always received comments on social media that I resemble Mr. Ratan Tata. I always thought the day the character comes along I will be more than happy to play it. So when Omung, Sandip, and Vivek called me for the role and I immediately agreed to do it. The team is quite wonderful and Omung is doing a great job, we have already shot my part and it went very well. I must say that Vivek has worked really hard to get where he has gotten with the character. It was pleasure to see Vivek maturing into an artist who takes on such a difficult role, he has done it with great maturity and home work." PM Narendra Modi, the biopic, will traverse the journey of Narendra Damodardas Modi from his humble beginnings to his years as Chief Minister onto his landmark win at the 2014 election and finally being nominated as the Prime Minister of India. The film is produced by Sandip Ssingh and Suresh Oberoi. Directed by biopic maestro Omung Kumar, this much-anticipated biopic comprising an ensemble cast has versatile actor Vivek Anand Oberoi in and as PM Narendra Modi. Vivek Oberoi Set To Play Young Narendra Modi? PM Narendra Modi Biopic To Release This Thursday!